KIEV, Ukraine -- ‘Had the Kh-31 been successfully procured, Iran’s ability to project power, harass vessels, and deter great powers in the Persian Gulf would’ve measurably grown,’ one expert says. Four days into 2018, two Iranian nationals tried to buy parts of an advanced missile in Kiev, according a spokesperson for the Ukrainian intelligence service. This effort appears to have violated a UN arms embargo on Iran. Masked men in Ukraine’s secret police arrested the men and found parts of the missile in their vehicle, according to the spokesperson. What followed became a secret diplomatic incident, and both men were detained and then quietly deported to Iran. Vasyl Hrytsak, the head of Ukraine’s intelligence service, described this all to American government officials during a recent trip to Washington. The attempt as alleged by Ukrainian intelligence sources likely violated United Nations’ prohibitions on Iranian arms procurement. And it shows Iran may intend to procure weapons that would let it make the Persian Gulf more dangerous than ever. Hrytsak told American officials Iranians tried to procure an X-31 anti-ship missile components, produced in Ukraine. 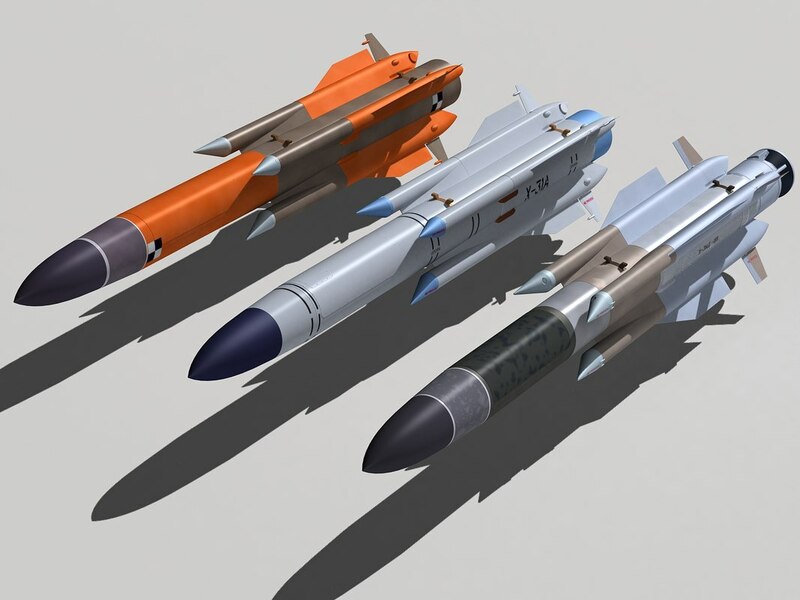 “X-31” can also be rendered as a Kh-31 missile, depending on how you transliterate the cyrillic. Officers from the Security Service of Ukraine (SBU) arrested the men when they were in possession of parts of the missile as well as technical documents related to its use, according to pictures of the arrest reviewed by The Daily Beast. One of the men, according to Hrytsak, is named Abdi Biyan and was a military attache at Iran’s embassy in Kiev. “The diplomats in Ukraine are not there for Chicken Kiev,” said Tom Karako, a fellow at the Center for Strategic and International Studies. “It’s most likely this missile is a Kh-31,” added Behnam Ben Taleblu, a research fellow focused on missiles at the FDD, who also reviewed the Ukrainian photos. “The Islamic Republic is already home to a wide array of Chinese anti-ship weapons and their Iranian variants,” Taleblu said. Iranian acquisition of Kh-31 missiles could improve its ability to attack U.S. and Gulf Arab countries’ naval forces as well as commercial maritime traffic transiting the Strait of Hormuz, the thin strip of sea between Iran and the United Arab Emirates that connects the Persian Gulf to the Arabian Sea. According to the U.S. government’s Energy Information Administration, 18 million barrels of oil went through the strait every day in 2016—more oil than moved through any other choke point that year. Iran has repeatedly threatened to shut the strait in response to tensions with the U.S. and Europe. Expanded Iranian capabilities to harass ships could have economic consequences as well as military ones. Anti-ship cruise missiles are one of “four core areas” which the Islamic Revolutionary Guard Corps Navy (IRGCN) has prioritized for naval weapons acquisition, according to a 2017 study published by the U.S. Office of Naval Intelligence (PDF). The Iranian military has long made a practice of harassing American Navy ships in the Persian Gulf, though these incidents have declined under the Trump administration, a U.S. Central Command spokesperson recently told the AP, according to Business Insider. A spokesperson for Iran’s mission to the UN did not respond to multiple requests for comment on whether or not the country’s government disputes the Ukrainian intelligence service’s allegations. It is unclear if Ukrainian President Petro Poroshenko’s government informed the UN of the men’s attempt to buy the missile. A spokesperson for Ukraine’s mission to the UN said he had no information on the matter. This alleged attempt wouldn’t be the first time Iranians tried to get weapons from Ukraine. In 2005, Ukrainian prosecutors revealed that Iran smuggled Kh-55 air-launched cruise missiles out the country in 2001—a move U.S. officials reportedly believed was assisted by corrupt senior officials in the government of former President Leonid Kuchma. Missile experts believe that the illicitly acquired Kh-55 missiles formed the basis of Iran’s “Soumar” long-range cruise missile revealed in 2015. Classified State Department cables released by WikiLeaks also show U.S. officials repeatedly warned Ukraine in the mid-2000s that its Zaporizhzhya Regional Foreign Economic Association—sanctioned by the U.S. in 2004—had sold specialty metals useful in the construction of ballistic missiles to Iranian missile procurement front companies.